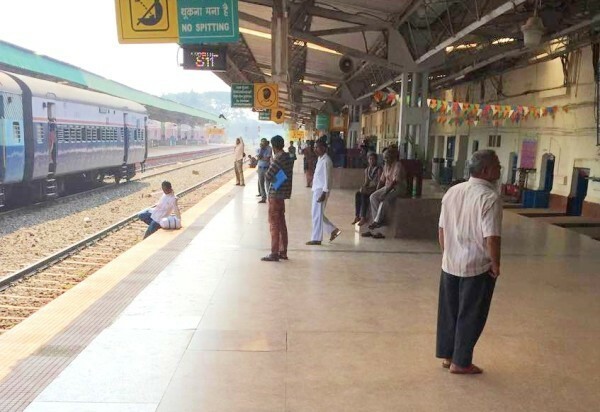 It was in for a surprise to see clean platforms and much better cleaned tracks at the Belagavi railway station. Thanks to Swachh Bharat Abhiyan, SW Railways has taken a slew of measures to raise the sanitation standard of the station. Cleanliness initiatives had been taken over the past months on the lines of Swachh Bharat Abhiyan and that the administration aimed at making the station one of the clean stations in the country. Now it is the duty of the citizens to maintain the same cleanliness. A human psychology works best by positive reinforcement and rewards. Instead of punishing people, we should start rewarding people for good behavior. Feeling so good to see clean railway station of Belagavi. Thanks to our PM for such a wonderful initiative. Hefty fines should be imposed for littering /spitting on the platform & the tracks. That is the only way to deter the public from defacing the premises. With enough CCTV cameras in the railway station, there shouldn’t be a problem in implementation.